Elatochori (Greek Ελατοχώρι, meaning "fir-tree village") is a beautiful village, situated in the Pieria mountain range (highest summit: Flampouro; 2,194 metres elevation), in the geographical territory of Macedonia. Elatochori has a population of 715 inhabitants as of 2001 and it is one of the most popular winter destinations in Greece, thanks to the beauty of the region and —of course— its ski centre. 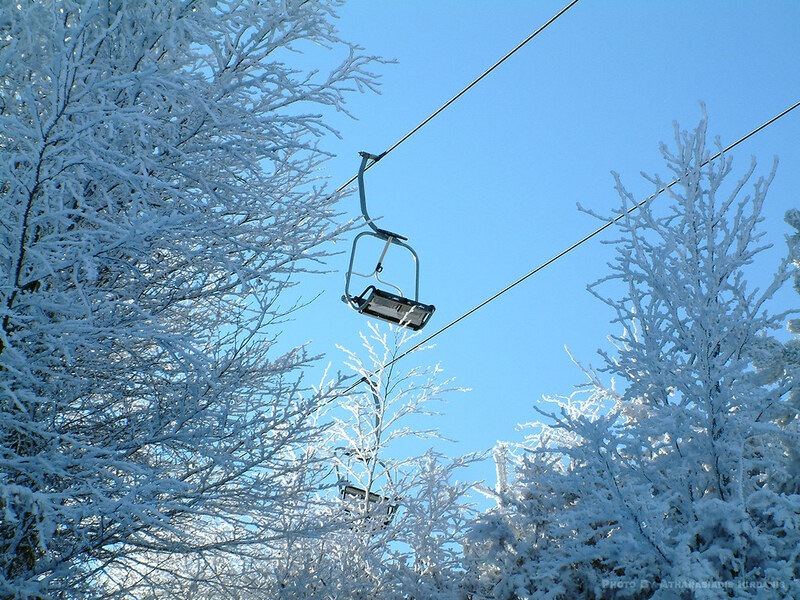 The ski centre of Elatochori is situated at an elevation ranging between 1,400 and 1,800 metres, on the southeast-facing hillside of the Pieria mountain range. It features ten slopes of variable difficulty, ranging from very easy (blue slope) to very difficult (black slope), with one of them specially designed for snowboarding and another one for sledging. The lifts of the centre are an aerial double-seated chairlift, two surface lifts and two baby lifts. The ski centre also features a chalet at the region known as Papa Chorafi (situated 8 km from Elatochori at an elevation of 1,450 metres) with a capacity for more than 400 people. The local Club for winter sports and climbing is based at the ski centre of Elatochori. There are dozens of things one can do in the region of Elatochori. Apart from the obvious ones, such as winter sports (skiing, snowboarding, sledging, snowmobiling), the region is perfect for hiking, climbing, mountain-biking, horse-riding and off-road driving. The blue markers shows the location of various accommodations in Elatochori. The letter in the marker describes the accommodation types: H for Hotel, A for Apartment, R for Resort, B for Bed & Breakfast and O for Other (e.g. pension, villa). Click on the blue marker for more information on the accommodation.